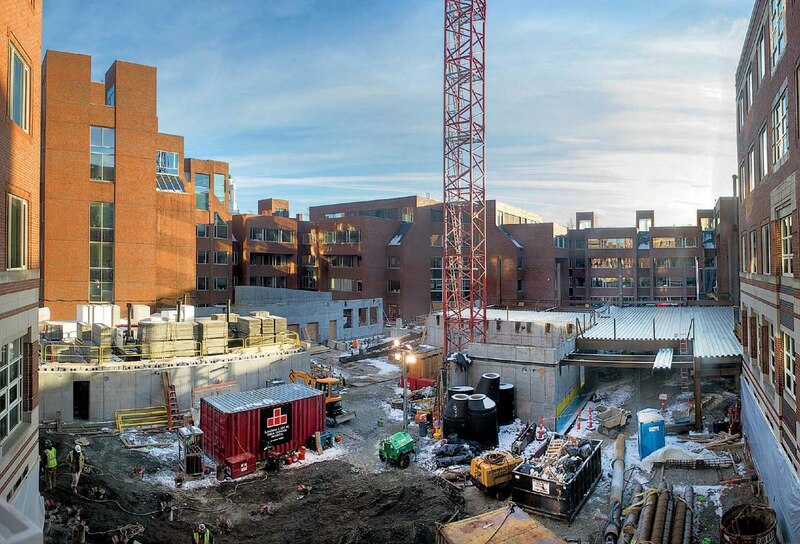 The Harvard Kennedy School aims to build students’ capacity for better public policy, wise democratic governance, international amity, and more. Now it is addressing its own capacity issues (as described here). 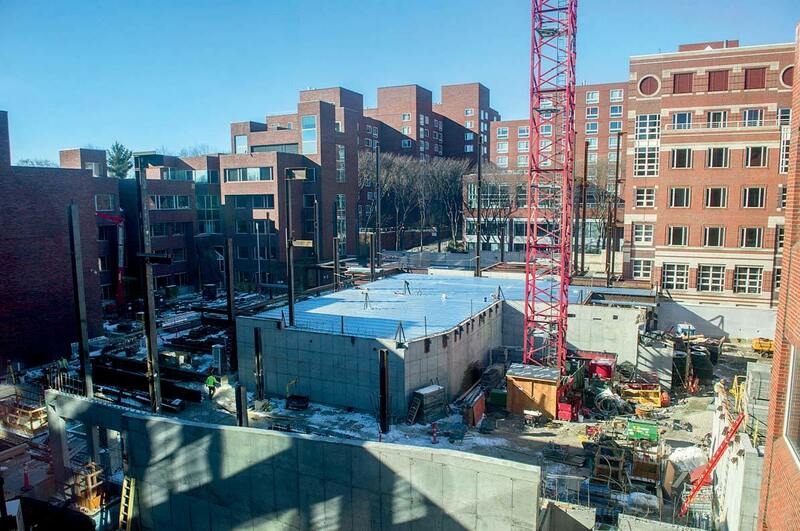 In January, as seen across Eliot Street from the northeast (first image above), work was well under way to raise the level of the interior courtyard, install utility space in a new below-grade level, and erect a four-story “south building.” The project will bridge the Eliot Street opening between the Belfer (left) and Taubman (right) buildings with a new “gateway” structure that includes faculty offices and other spaces. 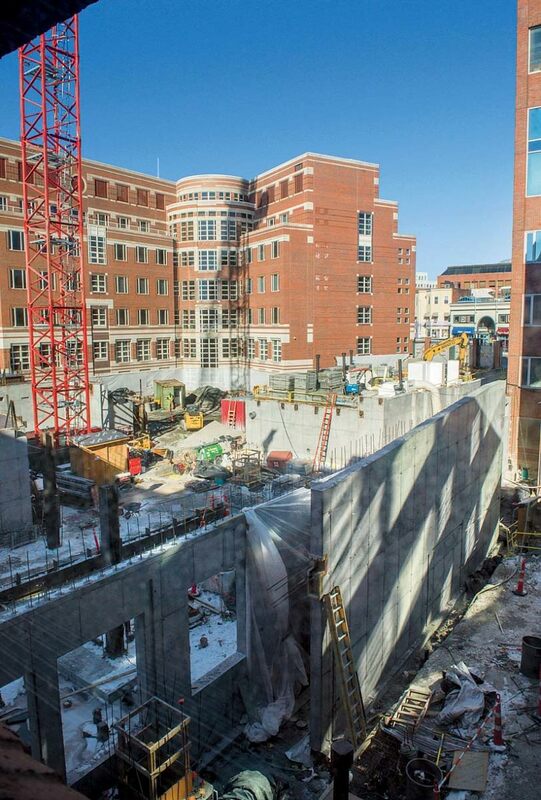 The second and third images show views diagonally across the courtyard from Taubman toward Littauer, and vice versa. 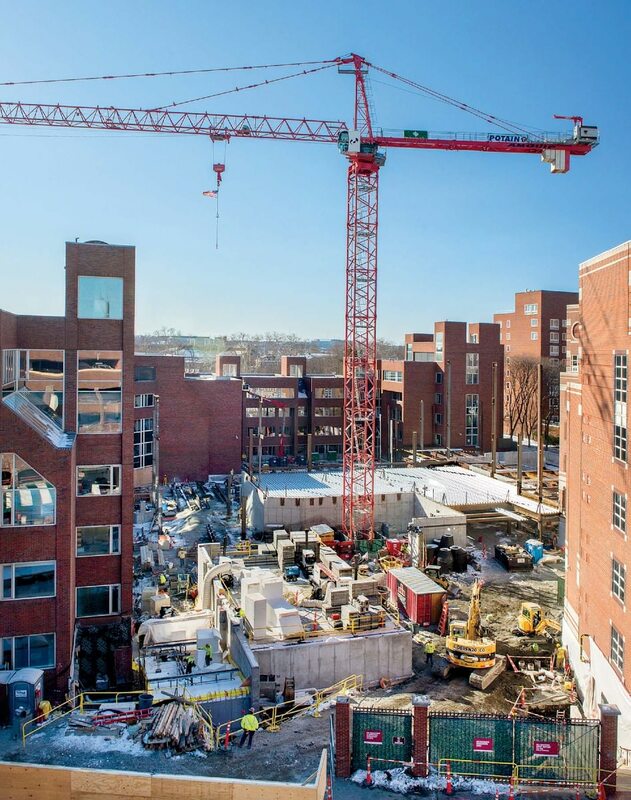 Turning west, across the courtyard toward the Charles Hotel complex (final image), affords a look at the current open space between buildings; the gap is to be filled with a new, connective academic building, including classrooms.